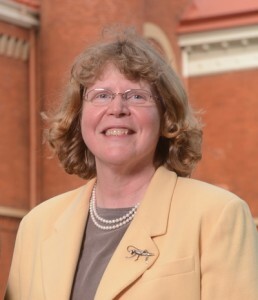 University of Mississippi professor Susan Pedigo will lead a program Oct. 16 examining “The Versatility of Wheat in Cooking” at this month’s Science Cafe. Pedigo, a professor of chemistry and biochemistry, will speak on the subject at 6 p.m. at Uptown Coffee. The event is free and open to the public. The Oxford Science Cafe features monthly conversations about science known and unknown. Speakers and topics are scheduled through the UM Department of Physics and Astronomy. This month’s discussions will center on the genetic rewiring of wild wheat to promote convenience in harvesting and planting, and how those changes promoted wheat’s meteoric rise in importance as a major food in civilization. The event is sponsored by the Office of the Provost, University of Mississippi Women in Physics, Uptown Coffee and the Department of Physics and Astronomy.